Tantalize your taste-buds with these raw chocolate superfood bars, packed with an array of nutritional and energy boosting nuts, seeds and berries. These vegan raw chocolate bars are practical, easy to make and downright delicious. 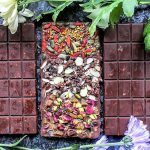 Tantalize your taste-buds with these raw chocolate superfood bars, packed with an array of nutritional and energy boosting nuts, seeds and berries. 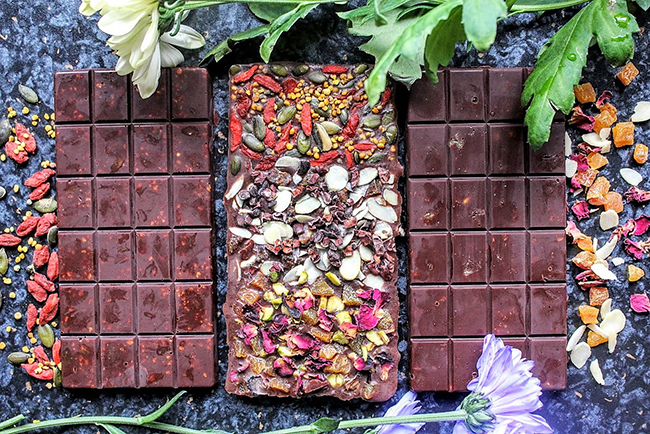 These vegan raw chocolate bars are practical, easy to make and downright delicious. Raw cacao is high in magnesium, iron, zinc, copper and it’s a source of protein and calcium. This makes chocolate not only delicious but truly nutritious. Get 3 silicone chocolate bar moulds ready. For each variety, arrange the dried fruits/nuts/seeds in one layer to cover the base. Set aside. Now make the chocolate: Put some water in a pan and bring it to the boil over a medium-high heat, then remove from heat. Add the chopped-up cacao butter to a glass or ceramic bowl and place over the pan (making sure it doesn’t touch the water). Allow to melt, about 3-4 minutes, then remove. Whisk in the coconut oil, maple syrup or agave and vanilla to combine, then the cacao powder until completely smooth and glossy. Carefully pour into each chocolate mould to reach the top and cover with your desired selection of dried fruits, nuts and seeds. 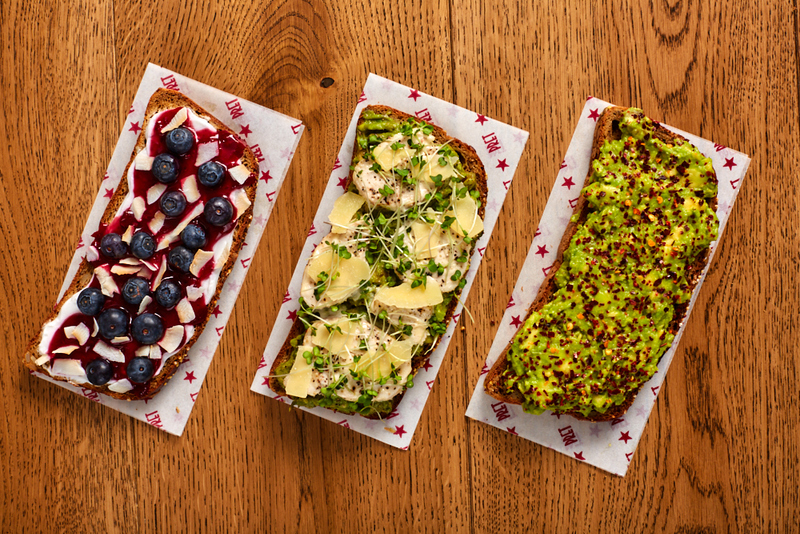 Chill in the fridge for at least 1 hour to set - then you’re ready to enjoy! Keep in the fridge for up to a week in an airtight container. Shop at www.indigo-herbs.co.uk for the ingredients in this recipe as well as a broad range of superfoods and herbal ingredients. Indigo Herbs is passionate about supporting you on your journey to natural health and clean eating.